In our current service-dominated world, there are plenty of industries that depend on quality customer care in order to survive. To come to their aid, we’ve created a product that focuses on key performance predictors such as flexibility, responsibility and customer focus, along with an interest in working with people. Such attributes are essential when dealing with customers and can make a world of difference in the way any given company is perceived by the public. 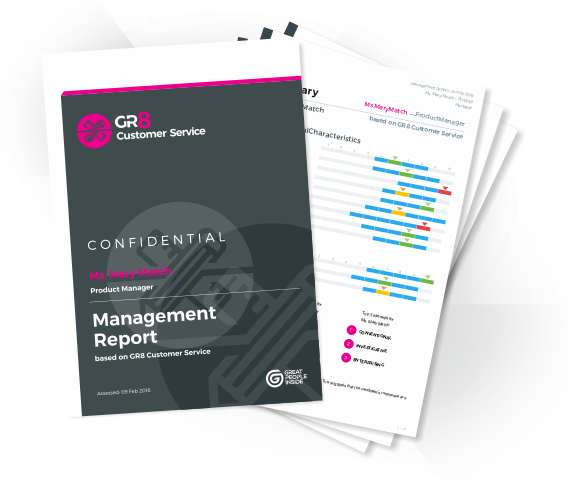 The GR8 Customer Service assessment identifies the people who have the behavioural characteristics specific for providing a top-quality service in relation to internal or external, governmental or private clients.